As the weekend approached, Pamela Ford and friends were busy preparing for a significant milestone in her Riverview-based nonprofit’s history. Thanks to a generous $2,000 donation from Home Depot, the group had the means to construct an event stage for performers. The founder and executive director of Transcending Elements put the finishing touches on arrangements. The Sun, Fun and Music Festival, which debuted Saturday, July 14, in the City of Tampa’s Perry Harvey Sr. Park, will continue to serve as the group’s primary fundraiser every year. The choice of venue is no accident. 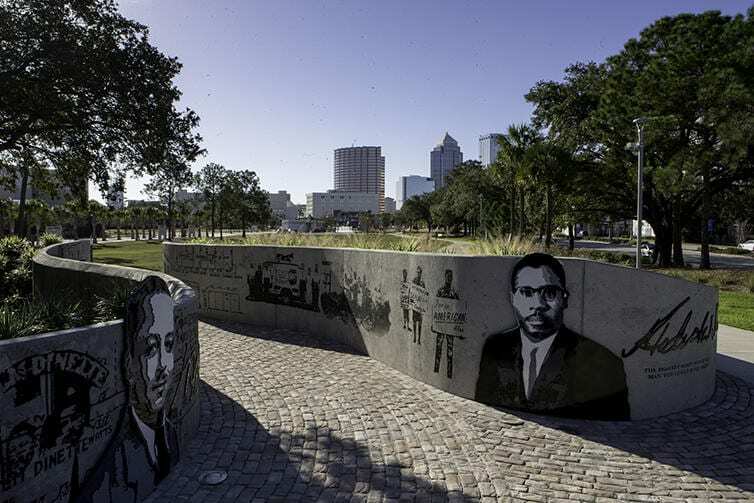 Perry Harvey Sr. Park is situated in what was once dubbed The Scrub, Tampa’s oldest and largest African-American community and part of the once thriving Central Avenue Business District. It also served as home of a burgeoning music scene for African-American musicians and singers during an era in the South where safety and acceptance were two highly sought-after venue characteristics for a performer. Now, the park showcases the work of four artists through unique sculptures which highlight contributions of early members of the local African American community who helped grow the district. The park also features a variety of recreational amenities encouraging activity and movement, including an interactive fountain for water play, basketball courts and a skate park. Ford says she appreciated having Tampa’s parks and recreation department and City Council’s support from the beginning when the group first approached them about holding the event. “They liked the vision and want to show Tampa as the diverse community that it is,” she says. And what better setting than this symbolic city park for an event coordinated by a group focused on delivering opportunities to underserved youth to express themselves through music and dance? “We see so much negativity that children are experiencing, and we wanted to find a way to give them hope and encouragement,” says Ford, whose travels led her to the Tampa area by way of Georgia and NYC. Raised by her grandparents and spending much of her childhood moving from place to place as a self-termed ‘military brat,’ Ford joined a local church once she settled into the Tampa area and became its administrator. Through the church, she got involved with Angel Tree, a program offered through prison ministries during which churches, individuals and other groups make an annual commitment to purchase gifts for the children of parents who are currently incarcerated and to deliver them in the parents’ name in an effort to help keep families connected. Though she is no longer with the same church, it was during this time that the early seedlings for her future nonprofit were planted. Ford and other friends and neighbors, some of whom are now members of her nonprofit’s board, found a common bond: all of them loved children and especially doing things to benefit them. Some of them had been involved as PAL coaches and basketball mentors. 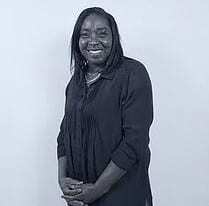 Others like her group’s secretary had been specially trained to work with children, in her case, as a special needs teacher within the Hillsborough County Public Schools system. As the group began continuing to do annual campaigns to help not only the children of incarcerated parents but other local youth in need for the Angel Tree program and hosted community Easter egg hunts, something clicked. “These events only happened once a year, and we were having as much fun, maybe more, than the kids do. We thought what if we do this all the time and help them? At our Easter egg hunt, we saw how much the kids enjoyed dancing and music and thought, suppose we did something to incorporate that,” Ford says. As Ford and her Board members got out into the community and began sharing the group’s vision, others began to see it, too. Since then some of the local professional sports teams have pitched in including the Tampa Bay Rays offering ticket four-packs for raffle items and Tampa Bay Buccaneers’ players including Mike Evans and Deshaun Jackson sponsoring over 30 youth participating in the Transcending Elements arts program to attend NFL games with their families. 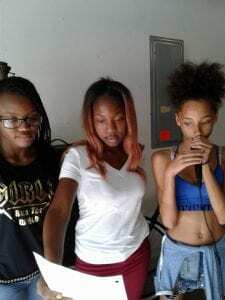 Transcending Elements currently offers underserved youth in the community free music and dance sessions, and plans to add both theater and a more technical audio production program, as well, for older youth who may be as interested in the recording and production side of the arts. By helping parents unable to afford performing arts programs they can give their kids to hone their talents, Ford says they are filling a void but the need for more partnerships in the local business, civic and educational communities is critical. “We love what we do but right now the purpose of this weekend’s event is for awareness and to solicit donations from the public, because what’s really holding us back at this point is a facility. We have everything else in place. Local artists volunteering their time and supporting the kids and young performers ready to entertain. But we need the space to carry out our mission every day for these children,” she says. 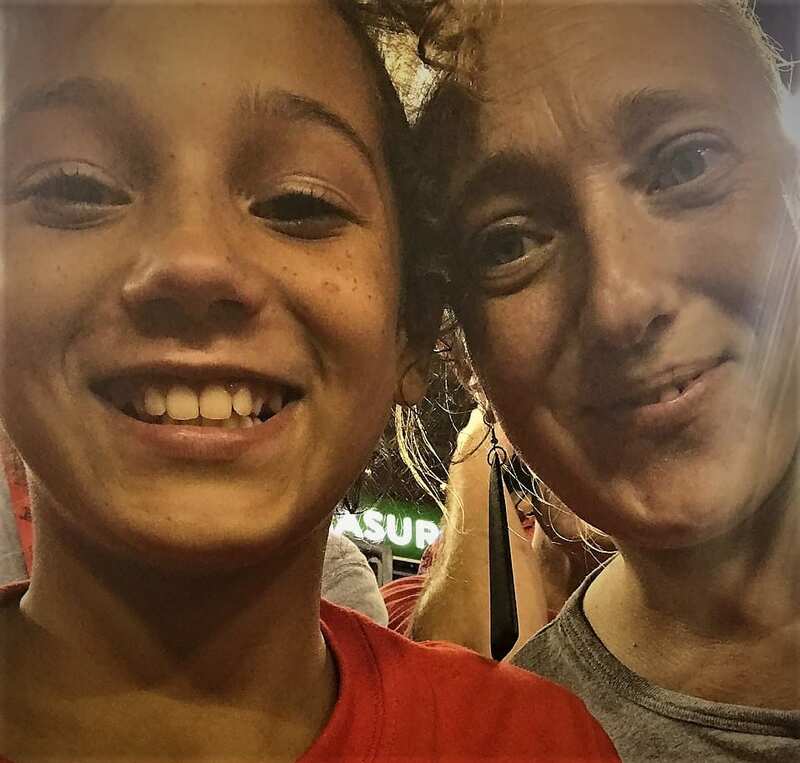 One family who has already experienced the benefits of being a part of Transcending Elements is Tampa mom Robyn Colletti and her 10-year-old daughter Jayla who takes part in the nonprofit’s music and dance programs and participated with other youth at the festival. Colletti says the program is a gift to parents who want to give their kids more but simply can’t. “Pam is very dedicated and teaches kids about creativity, positivity and working together. It’s a great experience and a good program for children of parents that cannot afford other programs that are too expensive but want to enroll their kids in something that will benefit them,” she says. Ford says everything is in place to make Transcending Elements the success she knows it can be in delivering the arts to all children. The nonprofit will be working with University of South Florida grad students in the school’s performing arts program. They will be able to provide helpful instruction to participating youth while earning valuable internship experience. But teaching space must be secured first, and Ford is making it her group’s mission to address a growing need in the community. “There are sports programs for underserved youth but not for the performing arts. Not all kids do sports. We have a niche that needs to be filled,” she says. For more information about Transcending Elements, click here to visit their website or click here to stop by their Facebook page. The Sun, Fun and Music Festival is a free, annual event featuring both youth performers from the Transcending Elements program as well as other Bay area singers and musicians. Visitors can roam around the park, interact with local vendors and check out onsite food trucks for concessions. Perry Harvey Sr. Park also offers ample opportunities for kids to take part in safe play while parents enjoy the event’s live music. Attendees can pack a blanket or lawn chair and spend the day listening to music and learning about the nonprofit by stopping by the information table onsite or visiting the group’s Facebook page or website where they can donate straight from their phones while at the event. For more information, click here.